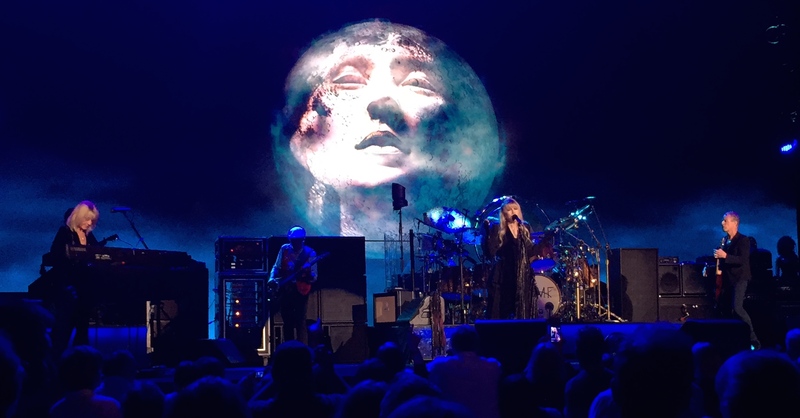 On the advice of my friend Dale Kirkland I decided to get my girl some decent seats to the Fleetwood Mac show last week. Never a huge Mac fan but Dale was right, they put on a heck of a show. The highlight to me was a story that Stevie Nicks shared leading into “Gypsy.” It seems that before Fleetwood Mac made it big and Stevie became rich she used to go to a store in San Francisco called the Velvet Underground. According to Nicks the store had a marvelously painted floor. Hence the opening lines of the song. She went on to talk about how the big lady rockers of the day, Janis Joplin, Grace Slick and the like shopped there, but at the time she could not afford to do so. One day while visiting the store she had a premonition. That she was going to become a star and would be able to afford the clothes that the Velvet Underground carried. Using herself as an example Nicks went on to encourage the audience to follow those feelings when they happen, to devote their lives to things they are passionate about. Which gave a whole new meaning to the next two lines. And while she did not talk about the next line seems to be a bit of carpe diem encouragement. Stevie is quite the little motivational speaker when she does not have her witchy freak persona on.